SanDisk Pro Duo memory card recovery tool restores erased files and deleted data due to human error, hardware failure, improper system shut down or virus infection. Secure digital card recovery software can retrieve your data when unnecessary drive format operation performed in system. Memory Stick Pro Duo recovery tool is non destructive and read only utility can recover undetected and unreadable files of your Flash card, digital memory cards. ...... SanDisk Pro Duo memory stick recovery utility can restore undetectable files and folders containing favorite songs, audio video music, mp3, images, photos, pictures, video clips, digital photo, snapshots, movie clips etc. Olympus xD cards data retrieval tool ensures that you can regain back your missing or lost file, folders, office documents and directory from Fujifilm xD Cards. Software helps to restore data which may be deleted using Shift + Del key or emptied recycle bin. Secure digital card data rescue software has read only permission and detects unreadable files. SanDisk memory stick recovery tool provides fastest turn around time during recovery of deleted, lost or missing files and folders from your removable media. SD Gaming card data recovery can rescue your inaccessible data even after drive is not recognized or detected by your system. Qweas is providing links to SanDisk Memory Card Recovery Software 3.0.1.5 as a courtesy, and makes no representations regarding SanDisk Memory Card Recovery Software or any other applications or any information related thereto. Any questions, complaints or claims regarding this application SanDisk Memory Card Recovery Software 3.0.1.5 must be directed to the appropriate software vendor. 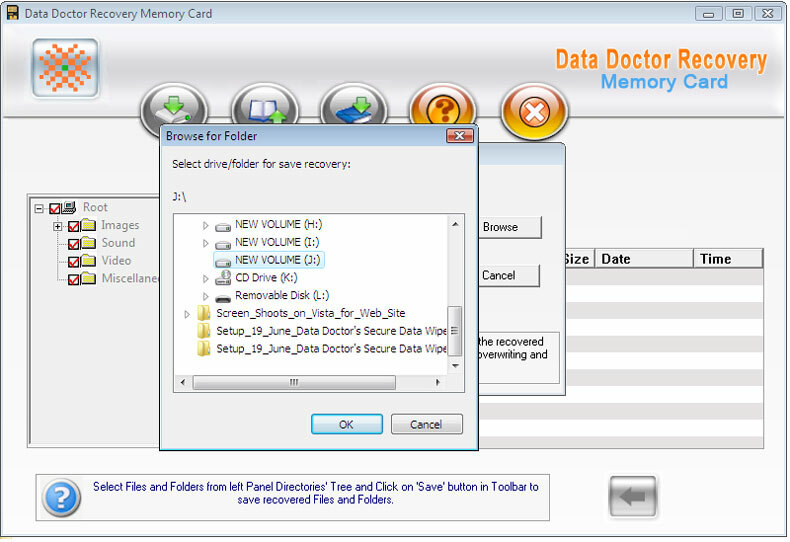 You may click the publisher link of SanDisk Memory Card Recovery Software on the top of this page to get more details about the vendor.